These Cape Town events in April will fascinate you! 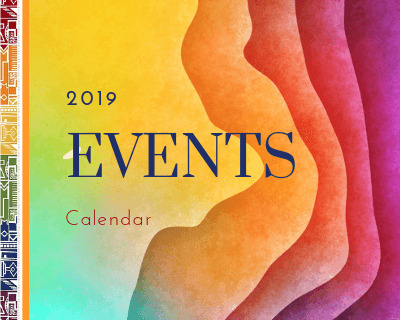 Here you will find our events calendar with a listing of some of the best Cape Town events for April 2019. April is a month when there are plenty of holidays, as there are three public holidays coming soon. Easter is not only celebrated by the Christians in Cape Town, but also the community opens its heart with a variety of community drives. Friday 19 April is Good Friday, Monday 22 April is Easter Monday, in South Africa called 'Family Day' and there is another public holiday. Friday, 27 April, which is 'Freedom Day'. 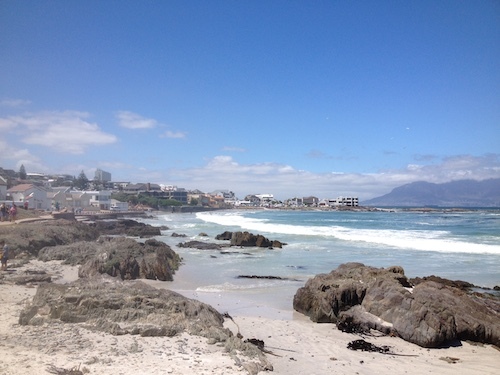 Enjoy the long weekends and take long walks on the stunning beaches in Cape Town. In April, we often have the first colder nights and the Cape Town weather can change quite fast during autumn in South Africa. Now you can experience four seasons in a day, as the Capetonians say. There are many great events happening in the Mother City in April, as you will see when you take a closer look at the events calendar below. •	Cape Town, Artscape Theatre: Chicago - The Musical. 15 March 2019 - 14 April 2019. Multi-award winning musical on stage in Cape Town. Tickets from R200. More info. •	Cape Town, CTICC 2: Property Buyer Show. 6 - 7 April 2019. For first time buyers and property investors. More info. •	Cape Town, CTICC: World Travel Market. 10 - 12 April 2019. Travel trade show, book your tickets before the show for free entry. More info. •	Cape Town, Barnyard Theatre: Celtic Rock. 13 March - 28 April 2019. Musical journey with Irish songs. Tickets: R115. More info. •	Cape Town, Grand West Casino: Sam Smith. 16 - 18 April 2019. Tickets: From R575 at Computicket. More info. •	Cape Town, Artscape Theatre: Men in tutus. 18 - 21 April 2019. Ballet performance with international dancers. Tickets R190. More info. •	Cape Town, Greenpoint: Two Oceans Marathon. 20 April 2019. Weekend full of sports activities in the city. More info. •	Cape Town, Baxter Theatre: Oxygen. 30 April 2019 - 4 May 2019. Dance Production at the Baxter. Tickets: From R90. More info. • Durbanville: D'Aria Wine Estate: Gemaak in SA. 13 April 2019. Musical Festival at picturesque wine estate in the Durbanville Winelands. Tickets: R95 at computicket. More info. • Paarl: Pinotage and Biltong Festival. 13 - 14 April 2019. Wine from several South African wine estates and biltong at its best. Visit the fair at Perdeberg Wine Estate in Agter Paarl to enjoy the local treats. Tickets: R200. More info. •	Sandringham, Stellenbosch: SA Cheese Festival. 26 - 28 April 2019. This annual festival for cheese lovers will take place at Agri-Expo's Farm in Sandringham between Cape Town and Paarl. You need to get your tickets beforehand on their website as there are NO tickets at the gate. Tickets: R180. More info. 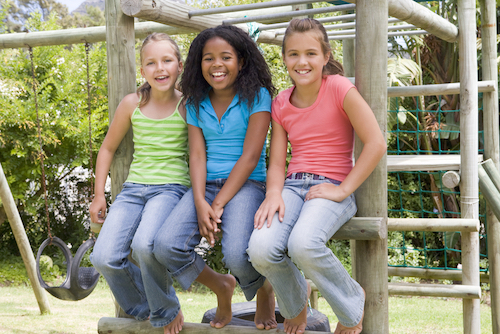 Cape Town Events in April 2019 - What's on for Children? As April is a month with various school holidays, you will find that there are many great events happening in the city for your children and teenagers. •	Cape Town, Artscape Theatre: Tales of Little Grey Rabbit. 16 - 30 March 2019. Popular children's tale. Tickets from R90. More info. •	Cape Town, Artscape Theatre: Shakespeare School Festival. 16 - 18 April 2019. 30-minute short versions of popular Shakespeare plays. Tickets from R70. More info. 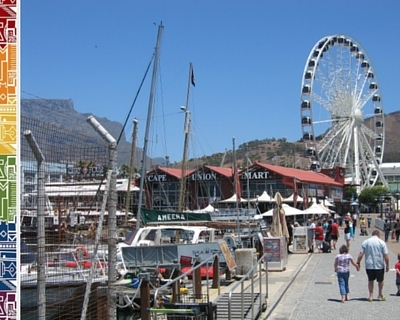 If you want to know about the best free activities for you and your family when in Cape Town, see our top 10 listing for free family-friendly activities here. Do you know of any other Cape Town events in April which are worth adding here? Please contact me and share your info. Other expatriates in Cape Town will be grateful to hear about a lecture, see a play or listen to music from their home countries too. Thanks a lot for your help. If you are looking for tickets for other Cape Town events in April, please refer to Computicket website: www.computicket.co.za or webtickets.co.za where you can find more info on events in Cape Town.